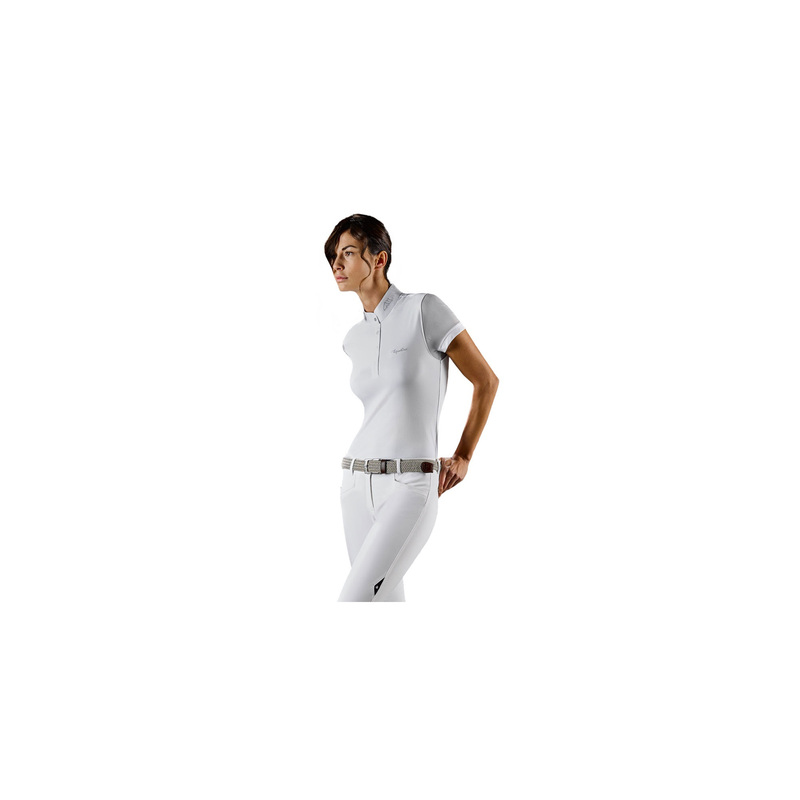 Elegant and embellished with details on the collar, this shortsleeved polo shirt for competition has been designed and tailored to offer all women a fashion item that is also technical. It gives high breathability during every phase of sports or training. The technical piquet used to make this garment consists of anti-bacterial polyamide. Machine washable. Please check the size in our size chart, because Italian sizers differs from the European sizers.